Repair Zone wants your excess inventory. If you have automation components that you no longer want or use, we will pay cash or credit. Reduce your carrying costs and gain valuable space by getting rid of it for cash. 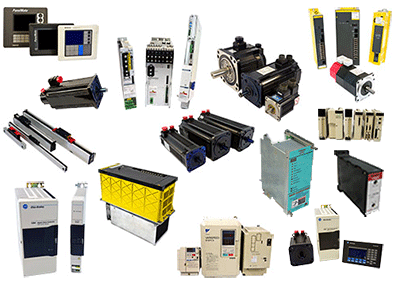 Sell us your excess industrial automation equipment like servo motors, drives, amplifiers, spindle motors, power supplies, linear scales, electronic parts, circuit boards, safety sensors, HMI and industrial monitors, all types of industrial controls. *If for whatever reason Repair Zone decides to not buy items that you have sent, you will be required to pay for return shipping.